There’s a new podcast on the … block? On the radio? The Internet. It’s definitely on the Internet. And it’s brought to our community by one of our own – Stacey Simms, mom of a child with type 1 diabetes and a professional broadcast journalist. 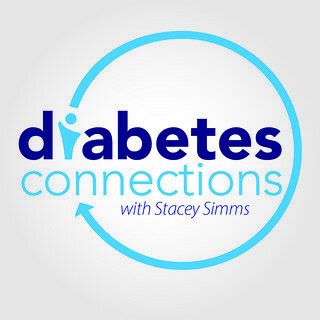 In her new podcast, Diabetes Connections, Stacey is bringing those two passions together to inform and inspire the diabetes community through discussion. Kerri: Stacey, you’ve been involved in the diabetes community for several years now. Can you tell me a little bit about your personal connection to diabetes? Stacey Simms: My son was diagnosed with type 1 in 2006, just before he turned two. It was a shock, of course, and our lives turned upside down for a while. Luckily, I did know a few people through our local JDRF chapter. The radio station where I worked was the big sponsor for their golf tournament every year, so I had actually interviewed families living with diabetes and I had people to call when we got home from the hospital. I started blogging in 2007 because my listeners were asking questions and, while I could have talked about diabetes all day long, Charlotte’s Morning News wasn’t that kind of show! The blog became a very healthy and necessary outlet for me. It also led me to the incredibly helpful diabetes online community, for which I’ll always be grateful. Kerri: And how about your connection to broadcast journalism? Stacey Simms: I’ve been in broadcasting since before I graduated from college, working weekends at an all-news radio station. I went on to a career as a TV anchor and reporter and hosted a morning radio news show for a decade. We were the News-Weather-Traffic station (you have one in your town) and did several interviews every morning on a variety of topics. It was always fun and interesting but it was exhausting. I got really tired of getting up at 3am to do morning drive radio while raising two little kids. There’s no describing how difficult that shift really is – but it’s absolutely the best time to be on the radio. I made a tough decision to move on and I left full time broadcasting. No regrets. It was definitely the right decision. Kerri: What made a podcast your medium of choice, and what makes your podcast different from the other health-related podcasts out there? Stacey Simms: I love to listen to podcasts because it’s exactly what I’m interested in, exactly when and where I want to listen. Radio (and podcasting) is a very intimate medium. It’s just you and the listener, it should feel very one to one. You almost develop a relationship with the best radio hosts; that host should be someone you feel you know, your friend you look forward to hearing each show. Even during an interview, the person who’s hosting is hopefully asking the questions you want to ask. I love that about radio and about podcasting. My podcast is different because of my broadcast experience. Throughout my career, my beat was always health and medical reporting. Those years of experience have given me a good mix of skepticism, hope and interpreting medical jargon (I speak doctor). I listen to several diabetes-themed podcasts and they’re fun and conversational, but I find myself always wanting to hear more or to jump in with my own questions. While I hope many people find this podcast entertaining and informative, I’m really doing it so I can have conversations with people I find interesting and learn about topics that I care about. I’m making a podcast I can’t wait to listen to. Sounds a little selfish when I put it that way! Kerri: What can people expect from Diabetes Connections? Stacey Simms: An interesting, engaging conversation each week. You’re driving to work or doing chores around the house. Let me keep you company for a half hour. You’ll learn something about a prominent person or issue in the diabetes community and hear about how other “ordinary” people are managing. Diabetes can be a very isolating condition and connections empower us in a way that is a vital compliment to medical care. Kerri: That’s awesome. And thank you for having me as a guest this week! What other shows do you have on tap, and how can people sign up to be featured? Stacey Simms: I loved talking to you! As I said in the podcast, Six Until Me was one of the first blogs I found after my son was diagnosed and it helped me realize that while life would be different, it would still be great. That was a wonderful gift, so thank you! Next week, I’ll be talking to Sierra Sandison who touched off the #showmeyourpump campaign last year by wearing hers in the Miss America pageant. She’s just about ready to hand over her Miss Idaho crown. We’ll find out what’s next for her. I’m also speaking with Laura Billetdeaux from CWD Friends for Life, the annual conference that’s coming up. You’ll find out how a question over a message board sparked the biggest diabetes family conference in the world.. and we’ll talk about what’s on tap for this year at FFL. I also have guests coming up to talk about diabetes camp and about raising teens with diabetes. Best way to reach me right now is through social media and at www.diabetes-connections.com. I’m already getting requests and I would love to find out what more people would like to hear. Please let me know! Kerri: Thanks for taking the time to chat with me today, Stacey! I’m excited to bring your podcast into my rotation on trains, planes, and automobiles. Diabetes Connections is available where ever you get your podcasts. You can find it on iTunes here (and Stacey would love to have you give her a review). You can also find Stacey on Twitter @staceysimms, on Facebook, and on her blog. The official podcast website is still under construction, but when it’s up and running in full, you’ll find it at Diabetes-Connections.com. Good luck with this new adventure, Stacey! An In-Depth Look at the Diabetes UnConference. Walking with Friends. Diabetes Blog Week: Language and Diabetes. Global Connections in the DOC. 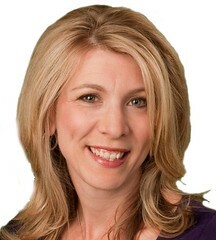 Hello Stacey Simms, I am impressed with your background, the interview, and your use of podcasts. I hope to be able to listen to some of them soon. I have been type 1 for 69 years, and do not have any serious diabetes related complications. The life expectancy of young type 1 people in the US is now almost as good as it is for nondiabetics. With your help, your son has an excellent chance of having a very long, healthy, and happy life, without diabetes complications. Kerri, thanks for this interview with Stacey Simms. She is very impressive, and will do so much for type 1 diabetes, just like you have done for many years.